The fast-growing Internet of Things (IoT) consists of millions of sensing devices in buildings, vehicles and elsewhere that deliver reams of data online. Yet this far-flung phenomenon involves so many different kinds of data, sources and communication modes that its myriad information streams can be onerous to acquire and process. Before FUSE, Adams said, a typical IoT task could require several manual steps. For example, users would acquire data from the Internet by manually finding and setting up the proper communication protocols. Then each data value would have to be assigned to a supporting database. Finally, the user would need to process the data, via approaches such as arithmetic manipulation or statistical evaluation, before it could be fed into a decision algorithm. Adams explained that the technical challenges in creating an Internet of Things framework include not just receiving and transmitting sensor data that use different communication protocols and modalities, but also digesting and processing a variety of data encodings and formats. One particular challenge involves dealing with timing differences between incoming data sources. To build their framework, the GTRI team developed advanced algorithms for handling the many different source types, communication modes and data types coming in over the internet. They also devised methods for managing interactions among data sources that use varying and unpredictable data rates. Displaying the processed data to users on-screen via an interactive data visualization, exploration and analysis dashboard that supports most data types including numeric, logical, and text data. Users can also devise their own custom dashboards or other interfaces. FUSE makes extensive use of the generic representational state transfer (REST) data capability. Referred to as RESTful, this widely used Internet standard supports the framework’s ability to receive and transmit divergent data streams. The FUSE framework is designed to be massively distributable. Using load-balancing techniques, the service can spread IOT workloads across entire computer clusters. Moreover, FUSE can also operate on small and inexpensive microcontrollers of the type increasingly found in buildings and vehicles performing a variety of smart sensing tasks. 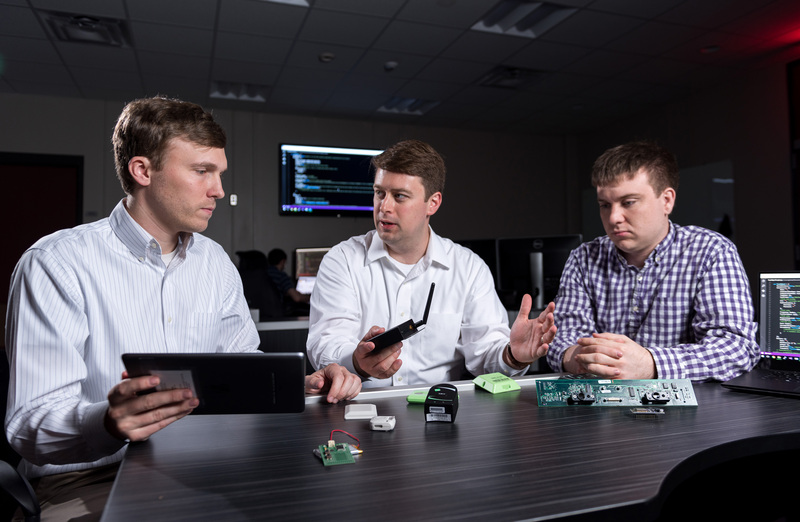 The development team has built a transform layer into FUSE that allows the framework to connect to legacy sensors, allowing integration of older devices that utilize diverse hardware and software designs. FUSE currently employs the open-source MongoDB program as its storage database, but GTRI researchers are developing adapters that let the service plug into common databases such as Oracle, MySQL and Microsoft SQL. Georgia Tech’s Center for the Development and Application of Internet of Things Technologies (CDAIT) has added Amazon Web Services, Inc. (AWS) to its growing list of members and launched four new working groups. The recently established Center for the Development and Application of Internet-of-Things Technologies (CDAIT) at the Georgia Institute of Technology announces that Flex, IBM, Stanley Black & Decker and Wipro Limited have become founding members.